Now that I’m pregnant I’ve been having these ridiculous cravings for the most random things. 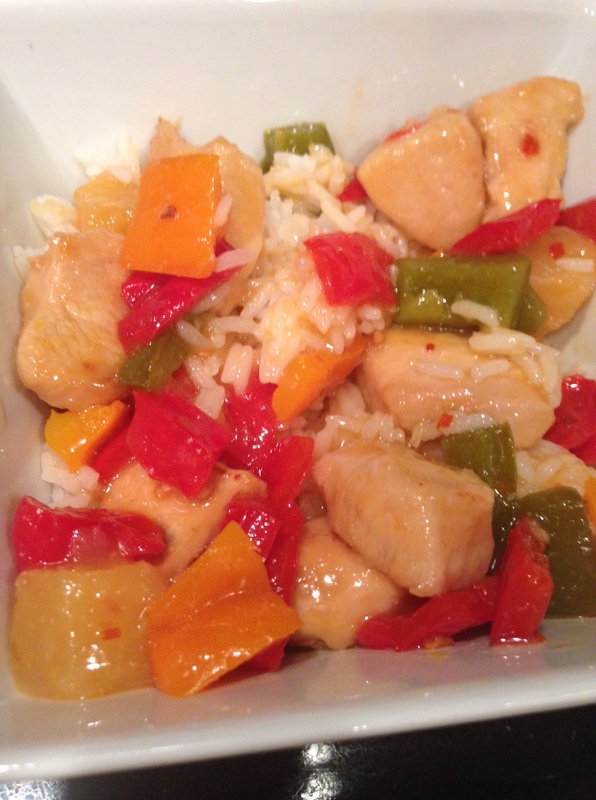 On my list this week was a Thai inspired chicken pineapple stir-fry. I wanted something tasty but not too heavy or greasy. It came out just right! 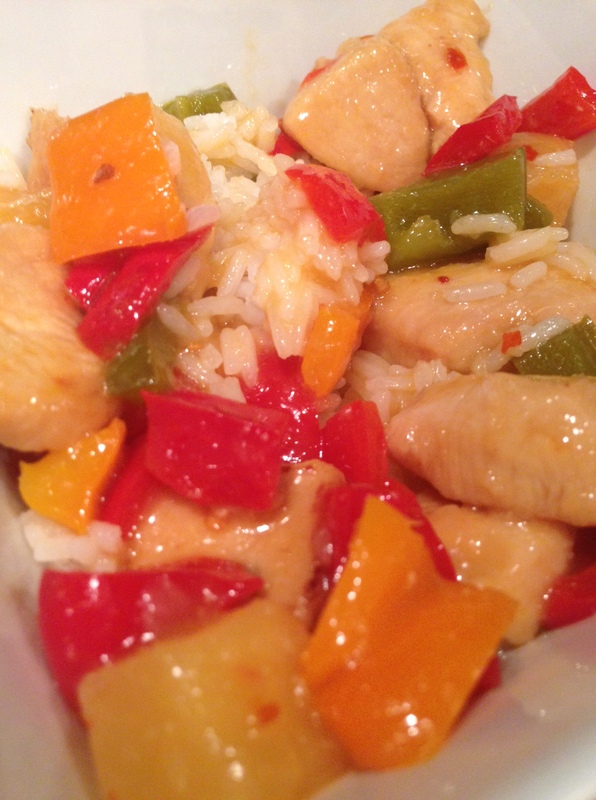 In a medium sized bowl, add the fish sauce and cornstarch to the cubed chicken and toss it evenly to coat. Set aside. On medium high heat in a deep non-stick pan, heat the oil. Add the garlic and red pepper flakes and stir for a few seconds. 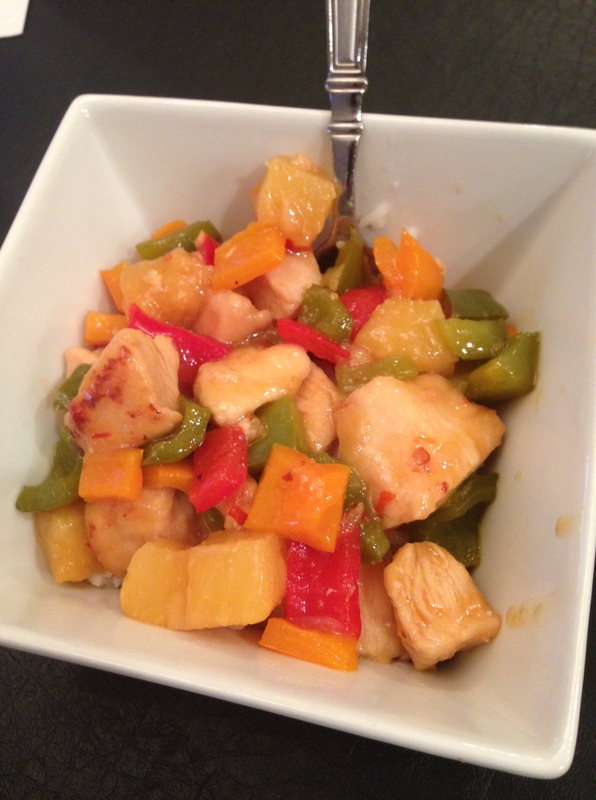 Add the cubed peppers and pineapple chunks and cook for 5 minutes, until everything is soft and fragrant. Lower the heat to medium-low and add the chili sauce and mix until warmed throughout, for about another 3-5 minutes. Move the mixture to a bowl and set aside. Increase the heat of the pan to medium and add another coat of oil to the pan if needed. Cook the chicken until lightly cooked on each side. Add soy sauce and lime juice, stir, and chicken through. Add the pepper mixture back to the pan and stir fry until well blended.